BUTUAN CITY, Oct. 27 (PIA) – The Department of Science and Technology (DOST) Caraga, Winrock International – Philippine Cold Chain Project (Winrock-PCCP) together with the Philippine Information Agency (PIA) Caraga on Tuesday launched the Food Safe Campaign in Caraga region. The campaign aims to develop food safety awareness and vigilance among food processing enterprises, food service establishments, schools, households and the general public. The launching was highlighted with the signing of the Memorandum of Understanding (MOU) by Winrock - PCCP chief of party Dan Gudahl, DOST Caraga regional director Dominga D. Mallonga, PIA Caraga regional director Abner M. Caga represented by deputy regional director Fryan E. Abkilan and witnessed by DOST Secretary Fortunato T. Dela Pena. In the MOU, the DOST Caraga shall represent the Caraga Food Safety Team (CFST) in collaboration with partners in designing information and communication materials for the Food Safe Caraga campaign and will closely work with the PIA Caraga and Winrock-PCCP in the implementation of activities indicated in the project. PIA Caraga will assist in the extensive dissemination of information and communication materials for the Food Safe Caraga campaign developed by the CFST and Winrock-PCCP, and will closely work with DOST Caraga and Winrock-PCCP in the implementation of activities. On the other hand, the Winrock-PCCP shall endeavor to closely work with DOST Caraga and PIA Caraga in the implementation of activities, and will provide the necessary funding support to cover cost of information and communication materials in the course of project implementation. According to DOST Caraga regional director Dominga D. Mallonga, the Caraga CFST will look into the protection and safety of consumers from the foods produced and also to support the micro, small and medium enterprises. The CFST will also educate individuals/producers about food safety from its production-processing-manufacturing-transport until it will reach the consumer's table, Mallonga added. “The Food Safe campaign is an ongoing information and education campaign of the Caraga Food Safety Team led by DOST Caraga and implemented in partnership with Winrock-PCCP,” Mallonga said. It has two major components: a training programme on meat handling for meat shop operators and workers, meat vendors and the general public; and public awareness campaign to disseminate information about food safety and improve the food handling practices of the residents of Caraga region. During the launching, Sec. dela Peña acknowledged the important role of PIA Caraga in the campaign. "PIA plays a very important role in this program especially in disseminating the food safety tips and proper handling of food," he said. Also, Gudahl said that in order to have a safe food, its preparation should be handled well. All food should be clean and safe starting from the farm to plate, he added. Dir. Caga emphasized that as its partner in the campaign of having a Food Safe Caraga region, PIA would utilize all channels to effectively disseminate accurate information on food safety and how to improve food-handling practices. Caga assured the widest communication support of the agency in the program. "PIA will help to empower communities especially on food safety," Caga said. Meanwhile, Sec. Dela Pena also led the turn-over of a luminometer and food safety materials to the qualified meat vendor beneficiaries trained by the DOST on food safety. Mallonga emphasized that one way of ensuring clean and safe food is to use the proper equipment in food preparation. The luminometer gives on the spot results to test the amount of microbial agents present in the surfaces. Under Republic Act 10611 or the Food Safety Act of 2013, it strengthens the food safety regulatory system in the country to protect consumer health and facilitate market access of local foods and food products. SURIGAO CITY, Surigao del Norte, Oct. 27 (PIA) - The Surigao Chamber of Commerce and Industry, Inc. (SCCI) presented the Coordinating Road and Infrastructure Investments for Development (CR+ID) Project during the 42nd Philippine Business Conference held recently at Marriott Hotel in Pasay City. SCCI honorary director Alicia Euseña, presented the CR+ID project during the National Chamber Management Forum, which is a prelude activity of the conference attended by more than 200 chamber leaders and representatives from different chambers in the country. According to SCCI president Concepcion Paqueo, the presentation on the advocacy and gains of the CR+ID Project, including the lobbying and funding of priority roads and infrastructure projects in Caraga region, received positive responses from the chamber leaders and representatives. The CR+ID project is one of the CFC’s (Coalitions for Change) key freeform agenda that aims to improve governance and sustain economic growth and rationalize infrastructure planning and investments, and minimize fragmentation in public infrastructure investments. TAGBINA, Surigao del Sur, Oct. 27 (PIA) – The Department of Agrarian Reform - Municipal Agrarian Reform Office (DAR-MARO) of Tagbina, this province spearheaded the training on Conflict Management and Pertinent Agrarian Reform Laws held recently here. According to DAR Information Officer Myra Yu, the activity was aimed to strengthen the Barangay Agrarian Reform Committee (BARC) in the area. Said activity was participated in by the representatives coming from the different sectors such as: landowners, farmer beneficiaries, indigenous peoples, non-government organizations, tenants, women organization and landless residents of the mentioned locality that comprised the newly re-organized BARC. The participants were oriented on the function of BARC under Secs. 46 to 48 of Republic Act 6657 also known as the Comprehensive Agrarian Reform Law. BUTUAN CITY, Oct. 27 (PIA) - In time with its regional launching, the Department of the Interior and Local Government (DILG) Region 13 (Caraga) calls for volunteers to be part of the DILG program dubbed as “MASA MASID,” which stands for Mamamayang Ayaw sa Anomalya, Mamamayang Ayaw sa Ilegal na Droga on October 24, 2016 at Balanghai Hotel and Convention Center, this city. The MASA MASID Program is one of the new programs of the national government under President Rodrigo Roa Duterte administration which is lodged in DILG. 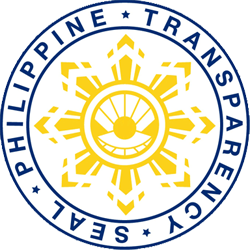 It is a community-based program that encourages communities to take a proactive stance in the government’s fight for the prevention of corruption, illegal drugs and criminality. It is to encourage multi-sectoral partnership to intensify the spirit of volunteerism at the community level. Pursuant to DILG Memorandum Circular No. 2016-116 dated September 2, 2016 setting forth the implementation of the MASA MASID Program, it provides for four main thrusts: information and education campaign in communities for government programs against corruption, illegal drugs and criminality; creation of a reporting mechanism on illegal drugs-related activities; formulation of community-based rehabilitation programs; and revival of the spirit of volunteerism by creating a volunteer-friendly atmosphere for organizations that wishes to be partners for change. To volunteer, the interested applicant may visit the DILG website: www.dilg.gov.ph or local DILG Office (for queries) and fill-up the Registration Form. During the regional launching of MASA MASID, DILG Caraga Regional Director Lilibeth A. Famacion, CESO III encouraged the participants to be part of the solution in preventing corruption, illegal drugs and criminality in the community. “Everyone needs to be aware and vigilant in what is going on the community. MASA MASID is the key so that we can have our urgent response against corruption, illegal drugs and criminality,” said Famacion. BUTUAN CITY, Oct. 27 (PIA) - The Department of Agrarian Reform (DAR) in Agusan del Norte conducted a one-day workshop on Agri-business Venture Arrangements (AVAs) to several Agrarian Reform Beneficiaries Organizations (ARBOs) held at Balanghai Conference Hall on Oct. 13, 2016. The activity discussed the update and current status of the farmer-cooperatives who are engaged in the arrangement. The three ARBOs, who entered into an agreement with the investor, are Soriano Farmworkers Cooperative (SFWC), Maong Integrated Farmers Association (MIFA), and Cabadbaran Fruits Corporation (CFC). According to AVAs Point Person Virgilio Ignacio, the DAR rendered the necessary assistance to thresh out issues and concerns encountered by farmer-cooperatives in relation to the implementation of the AVAs. “The activity will iron out details and consolidate issues in preparation of the upcoming three-day Implementers’ Evaluation Workshop to be held in Davao City,” Ignacio added. BUTUAN CITY, Okt. 27 (PIA) – Mas pinaigting pa ang kampanya sa publiko tungo sa malinis at ligtas na pagkaing nabibili sa mga pamilihan sa Caraga Region, matapos nailunsad at nilagdaan ang Memorandum of Understanding (MOU) ng Department of Science and Technology (DOST), Winrock International – Philippine Cold Chain Project (PCCP) at Philippine Information Agency (PIA) Caraga dito sa lungsod. Ayon kay DOST Caraga regional director Dominga Mallonga, na siya ring nangunguna sa Caraga Food Safety Team, ang nasabing kampanya ay base sa Republic Act 10611 o ang Food Safety Act of 2013 - ang batas na nagpapatibay sa food safety regulatory system sa bansa na nagproprotekta sa kalusugan ng mga konsumante at nagtataguyod sa mga lokal na pagkain at produkto. Dagdag pa ni Mallonga, ang Food Safe Caraga ay isang information at education campaign ng Caraga Food Safety Team na binubuo ng ibat-ibang ahensya ng gobyerno, kasama ang ibang partners sa non-government at civil society organizations. Napag-alaman rin na ang Food Safe Caraga Campaign ay naka-focus sa dalawang major components. Nagbibigay umano ito ng training programme on meat handling para sa mga meat shop operators, workers at meat vendors. At layon din ng nasabing kampanya na mapabuti pa ang food handling practices ng mga residente sa rehiyon at ito ay sa pamamagitan ng pagamit ng teknolohiya at media. Sinigurado naman ng PIA na buo ang suportang ibibigay nito at gagamitin ng ahensya ang lahat ng platforms nito maiparating lang sa publiko ang mahahalagang impormasyon tungkol sa kampanya. Ibinahagi rin ni Winrock International chief of party na si Dan Gudahl ang kanilang layuning matulungan ang mga Caraganon na makaiwas sa ibat-ibang sakit na dulot ng marumi at di-tamang paghahanda ng pagkain. Ang Winrock International ang syang magbibigay sa kinakailangang suporta-pinansyal para sa nasabing kampanya. Samantala, naging saksi naman si DOST Secretary Fortunato Dela Pena sa naging paglagda ng MOU ng mga nabanggit na ahensya at pinuri ang kanilang naging inisyatibo para sa Caraga Food Safe Campaign. DAKBAYAN SA SURIGAO, Surigao del Norte, Okt. 27 (PIA) - Mipahigayon og usa ka orientation ang European Chamber of Commerce of the Philippines (ECCP) ug Makati Business Club pinaagi sa opisina sa Go Negosyo Center para hisgutan ang Partnerships for Integrity and Jobs (i4J) Project niadtong Oktubre 18, 2016 nga gipahigayon didto sa PGO Convention Hall, ning dakbayan. 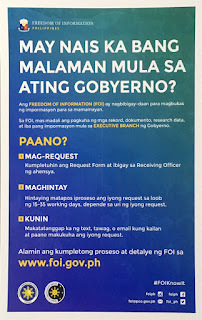 Sulod sa maong tigom, gipahigayon usab ang Integrity Self-Assessment Tool (ISAT) kun diin gi-assess sa mga hepe sa nagkalain-laing departamento, ang pagpamalakad sa gobyernong pang probinsya ug ang pagpamalakad usab sa tagsa-tagsa nila ka mga buhatan. Ang nakuhang resulta sa ISAT maoy mamahimomg basehan sa pagmugna sa integrity mechanisms nga i-monitor sa integrity circles.